The fragile status quo followed by the abolition of South-West Caucasian Republic (SWCR) and Arasdayan Republic as well as the establishment of Armenian administration in Kars territory and Nakhichevan county in April-May, 1919, did not last long. Extensive anti-Armenian campaign based on pan-Islamic and pan-Turanic agenda launched by numerous emissaries of Turkish nationalists and Azerbaijani government in combination with massive arms deliveries to the areas of Muslim majority from Erzurum through Barduz and from Baku via Northern Persia, triggered a series of well-organized uprisings against Armenian rule in July, 1919, in the province of Erevan (in the counties of Surmala, Sharur, Nakhichevan and Erevan) and all over the Kars territory. By the beginning of August, Armenian administration was expelled from the Araxes valley between Ordubad and Davalu in the province of Erevan, and most of Nakhichevan county was lost except the eastern foothills. The area of Sharur-Nakhichevan taken over by the Muslim rebels commanded by Samed Bey Jamalinsky was hoisting Azerbaijani and Turkish flags, and the majority of local Armenians, who still resided there in June, 1919, were either wiped out or forced to flee. In Kars territory fierce fighting that occurred throughout July and August around Karaurghan, Karakurt and Bashkey west of Kaghyzman and in the area of Merdenek - Novo-Selim - Beghli Akhmed west of Kars, resulted in a series of Armenian successes against Kurdish and Turco-Tatar tribes enforced by regular Turkish troops and often commanded by Turkish officers. By September, 1919, the Armenian control was re-established in most of the Kars territory excluding the Georgian-controlled northern sector of Ardahan district and the British-protected district of Olti still controlled by the Muslim militiamen of Ayyub-Khan and Server Beg. At the same time, in Surmala Armenian control remained limited to the plain of Ararat while the strategic heights dominating the areas around Kulp, Orgov and Aralikh remained firmly in the hands of Kurdo-Tatars. All the above events occurred against the background of British withdrawal from the South Caucasus that started with the evacuation of Baku between August 15 and 23, 1919, and by September 11, there was only a small British contingent remaining in Batum still administered by the United Kingdom. Meanwhile, a US Colonel William Haskell who arrived to the Caucasus as an Allied High Commissioner for Armenia in August, 1919, made an attempt to arrange a truce between the conflicting parties. After having met with Armenian and Azerbaijani officials, Haskell proposed a creation of a Neutral Zone between the two “sister republics” that would encompass the counties of Nakhichevan and Sharur-Daralaghez and be administered by a US governor. The American proposal was met with reserved satisfaction in Azerbaijan and indignation in Armenia due to the fact that both governments clearly understood that the fulfillment of Haskell’s proposal would be another step towards absorption by Azerbaijan of the territory that was considered to be inalienable part of Armenia in Erevan and was referred to as “South-Western Azerbaijan” in Baku. The proposed Neutral Zone would also cut Zanghezur off the rest of Armenia thus making it more vulnerable to the Azerbaijani expansion. By the end of October, 1919, it became clear that all efforts of Haskell’s mission ended up in vain. No agreement was reached on the disputed territory most of which remained under de-facto control of Azerbaijan and Turkey until March, 1920. Three months after pro-Azerbaijani and pro-Turkish forces secured their positions in Nakhichevan-Sharur two-and-a-half months after the submission of Mountainous Karabakh and seven weeks after the British evacuation from most of the South Caucasus, the leaders of Azerbaijani Republic decided to take over Zanghezur that seemed to be the last remaining barrier between Azerbaijan and Nationalist Turkey, the two forces that were clearly gravitating to each other. The carefully planned attack at the recalcitrant mountainous county started on November 4, 1919 simultaneously from Karabakh where regular Azerbaijani army units had been concentrating contrary to the Shusha Agreement of August 22, 1919, and from Nakhichevan where local Muslim militias launched offensive against Sisian while two Turkish platoons aimed to reach the remaining Muslim strongholds in central Zanghezur. The first day of the invasion were marked by a few local defeats of the defenders of Zanghezur. However on November 6 a few successful counterattacks by Armenian militias in Goris sector under Colonel Arsen Shakhmazian pushed Azerbaijani troops and Kurd irregulars back to Minkend-Tegh line, while at the same time, the Turks and Nakhichevani partisans were repelled in Sisian and Ghapan sectors by the Armenian troops commanded by Lieutenant-Colonel Garegin Njdeh (Harutiunian). By November 09 the Azerbaijanis retreated to Zabugh and northern mountain passes to Karabakh. Within a week and a half after the invasion began, Armenian forces under Njdeh took action against the armed Muslim villages that reportedly supported the invaders in Meghri and Ghapan cantons in the very the centre of Zanghezur. That operation resulted in the capture of Kajaran, Shabadin, Okhchi, Piroudan and a few other Muslim villages its defendants wiped out and inhabitants expelled, and in re-opening the mountain pass to the still fighting northern Goghtan in the foothills of Ordubad sector of Nakhichevan county. In the middle of November US and British representatives in the Caucasus Sir Oliver Wardrop (British Chief Commissioner since July, 1919) and Colonel James Rhea addressed the governments of Azerbaijan and Armenia and demanded that the undeclared war between the two republics should be stopped immediately. The Armenian-Azerbaijani talks started on November 20 in Tiflis (Georgia) and came to an end three days later with no breakthrough. On November 23, 1919 the Prime Ministers of the two countries (Alexandre Khatisian and Nasib Bek Usubbekov) signed an agreement that was in fact nothing more but a declaration of intent. Meanwhile, military operations and ethnic cleansing went on in Zanghezur and Goghtan. Goghtan, a very small Armenian historical province with its centre in Akulis in size and location roughly corresponding to Ordubad sector, managed to withstand the Ottoman invasion of 1918 and attempted to survive the Muslim uprising of July-August of 1919 through the declaration of its loyalty to the de-facto authorities in Nakhichevan and Ordubad. Nevertheless, most of the southern villages of Goghtan were devastated by the rebels. Facing the massacre, the northern villages took up arms to defend themselves and asked Erevan for help. The Armenian government could sent only a small relief detachment that reached Goghtan only in October to help local militiamen to hold against the offensive of Ordubad militiamen and regular Turkish troops. In November Lieutenant Colonel Njdeh was planning to lift the siege of Akulis and launch an offensive in the direction of Ordubad in order to secure the flank of Zanghezur. However he was ordered to postpone the Goghtan operation until his troops would finish the pacification of the last Muslim communities in the Barkushat mountains. The hero of Zanghezur had to obey orders but by the time when the last Muslim village of Ajibaj in the heart of Zanghezur was put to sword and fire it was too late to save what was left of Goghtan. By December 18, 1919 the resistance of Goghtan was crushed and a week later the last surviving Armenians left the area for Zanghezur. That marked the completion of ethnic cleansing both in Zanghezur and in the southernmost sector of Nakhichevan. 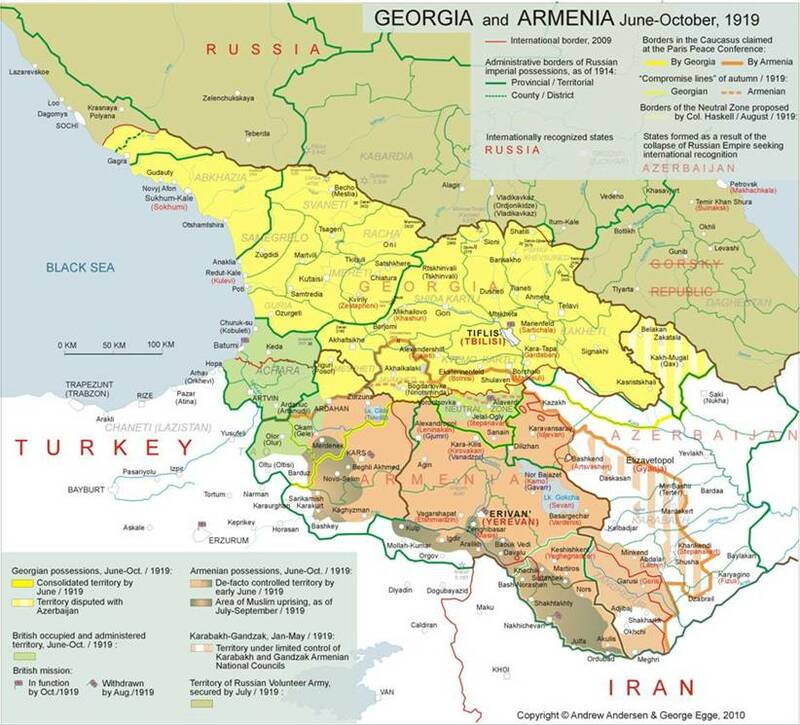 During the second half of 1919 the governments of both Armenia and Georgia started looking for a territorial compromise by attempting to adjust their claims to the counties of Borchalo, Akhalkalaki and parts of Kars territory. In July, 1919, Armenian defense minister General Kristaphor Araratian submitted a new border proposal in accordance with which Armenia was to drop claims to almost two-thirds of Akhalkalaki and the northernmost stripe of the Neutral Zone (to the north of Alaverdi) as well as to some 40 per cent of the district of Ardahan (Kars territory) to the north of Kura (see Map 5). Georgian government though failed to see any major concession in the above proposal largely due to the fact that most of the disputed territory “granted” to her by Amenia was already under firm Georgian control. Nevertheless, the official Tiflis came out with a counter-proposal reflected in a foreign ministry memorandum stating that Georgia could be satisfied with the northern half of the Neutral Zone (with Alaverdi copper plants) and was prepared to drop her claims to the district of Olti (Kars territ.). Georgia was not prepared to cede any part of Akhalkalaki to Armenia and claimed not just the northern part of Ardahan district but the whole of it. Despite the above disagreement, the leaders of the two sister republics of the South Caucasus facing numerous internal and external problems kept looking for some settlement. An Armeno-Georgian conference that took place in Tiflis in September, 1919, was marked by the spirit of reconciliation and resulted in signing of a number of agreements vital to both countries in November, 1919. However, it resulted in no territorial settlement that would be mutually satisfactory despite the fact that at the very last moment Armenian delegation agreed to drop all claims to Akhalkalaki in exchange for Alaverdi copper mines. Immediately after the Armistice of Mudros the inter-Allied command headed by Field Marshal Edmund Allenby established special occupational administration for all the above-mentioned territory with the exception of Cilicia and Taurus zone where for some reasons the analysis of which goes beyond the framework of this essay, all Ottoman civil officials were left in their places. Largely because of that policy and also due to the fact that the Allied force in the area was too small even to occupy the major key-cities, the Armenian repatriation could not proceed properly and the attempts to establish some elements of Armenian statehood produced quite miserable results. In the fall the British started evacuation of Syria and Cilicia in accordance with the provisions of Sykes-Picot Agreement leaving the area within the French sphere of influence. On November 4 the region was officially transferred under the jurisdiction of the Beirut-based French High Commissioner for Syria and Cilicia whose title had been a month earlier changed from “the High Commissioner for Syria and Armenia”. This change of the title signaled the shift in the French policy that was vital for the Armenian case. In the fall of 1919 the government of Clemenceau clearly distanced itself from all the projects that involved the creation of an “Integral Armenia” from the Caucasus to the Mediterranean Sea and aimed at incorporation of Cilicia into “the Greater Syria” under French protectorate. At the same time, the idea of building up a sort of an “Armenian national home” in Cilicia was not completely rejected, and Armenian flags were flying next to French ones at least in the cities of Adana and Mersina. At the same time, encouraged by the Allies’ indecisiveness and the paucity of their forces in the region, the Turkish nationalists started violent campaign against all attempts of Armenian re-establishment in Cilicia and Western Taurus. Their plans for the re-conquest of Cilicia became even more realistic after the two-day conference between Francois Georges-Picot (French High Commissioner for Syria and Cilicia) ant the nationalist leader Mustapha Kemal that occurred in Sivas in early December, 1919. During that conference Kemal got assurance that although France still intended to keep a “special position” in Cilicia, the province was not going to be permanently torn from the “Turkish heartland”. Keeping in mind further development of the events in Cilicia and Taurus It would be hardly an exaggeration to conclude that the French overture in Sivas provoked pro-Kemalist insurgency in that sparsely garrisoned territory under nominal French protection that resulted in the new Armenian massacres in Marash in January-February, 1920, and finally led to total abandonment of Cilician Armenians by the French in October, 1921. As more than a year passed after the end of the last battles of the World War and the peace with Turkey was still not concluded, the question of the Turkish Armenia and the parts of it that was to be incorporated into Armenian Republic kept developing in the direction less and less favorable to the Armenians. The factual absence of Armenian population in the former Turkish Armenia as a result of ethnic cleansings during the war in combination with limited availability of the Allied troops to enforce any decisions in favor of Armenia led the Allied leaders to reconsider their position on Armenia. The shift in the Allied approach to the Armenian question was reflected in the outline for the Near Eastern Settlement submitted to Lord Curzon by Philippe Joseph Berthelot on December 12, 1919. The Berthelot memorandum clearly stated that the creation of an “Integral Armenia from sea to sea” was both unrealistic and even disadvantageous towards the Armenians for that project would make them a tiny minority in their own country. Instead, Berthelot proposed to grant Armenia all the territories she claimed in the Caucasus excluding Akhalkalaki and additionally-the basin o Lake Van, the plains of Mush and Bitlis and the eastern sector of the vilayat of Erzerum not including the city of Ezerum. According to Berthelot Armenia was supposed to remain landlocked providing her access to the seaports of Batum, Constantinople, Trebizond and Adana is secured by the Allies’ guarantees. 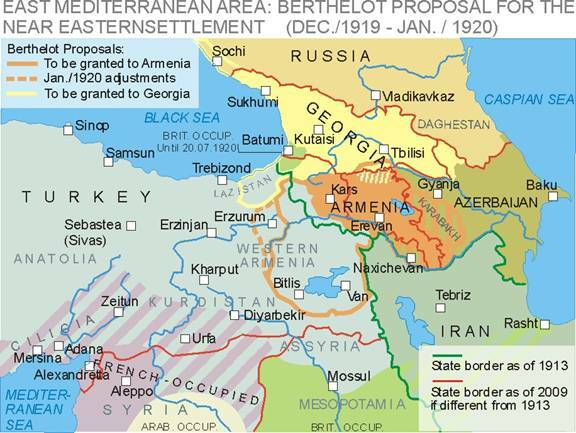 The British Foreign Office’s commentary on Berthelot Memorandum prepared by Robert Vansittart and Eric Adam supported the ideas of the memorandum in general, and on December 22 an accord was reached between Curzon and Berthlot both on the borders of the Armenian Republic and on the exclusion of French-occupied Taurus area from any form of Armenian rule. The agreement also acknowledged nominal suzerainty of the Sultan government over Cilicia and did not specify any form of “Armenian home” in that province. Later adjustments to the Berthelot plan (January, 1920) awarded Armenia with the city of Erzerum and offered to compensate Georgia with Lazistan east of Trebizond for giving Borchalo to Armenia (see Fig. 3.2.). The first half of 1920 saw the two Allied conferences (in London and San-Remo) where major conditions of the long-delayed piece treaty with Turkey were pre-approved by the Allied Supreme Council. The London Conference that started in February, 1920, was marked by the end of the project of the “Integral Armenia from sea to sea”, majorly due to withdrawal of the USA from active involvement in the Near East and French plans to include Cilicia into greater Syria. Despite the Allies’ moral obligations “to secure Armenian national existence” vocalized by Lord Curzon and confirmed by chief British representative Robert Vansittart conference was marked with the spirit of pandering to Turkish ambitions in the eastern vilayats and not forcing the Turks “to bear a burden which is too heavy”. At the very beginning of the conference the Armenian representatives Aharonian and Nubar were advised to give up the vilayats of Sivas and Diarbekir as well as to forget about Cilicia where some Armenian autonomy was to be established under French protection, and to be prepared to further concessions to the Turks. The Allied leaders also rejected the revised Armenian proposal for the eastern border of the future Armenia running west of Tirebolu-Cheftliq-Kemakh-Khozat-Kharput line. Even the possibility of direct Armenian access to Black Sea ports was put in question. Finally, after long debates during hundreds of sessions and committee meetings, the London Conference adjourned on April 10. 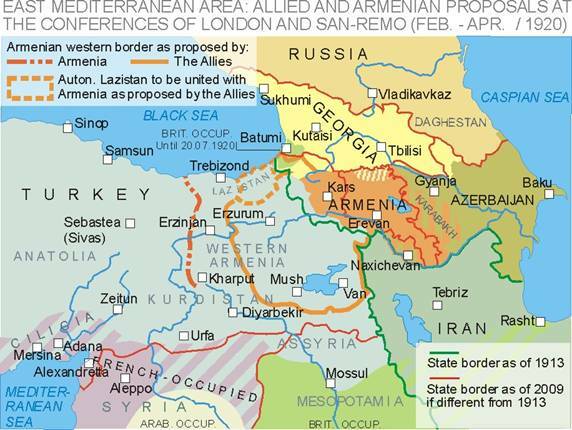 The draft treaty with Turkey and the future borders of Armenia were outlined but not finalized, and the discussion was to continue at a new conference that was planned to take place in San-Remo after Easter holidays. As per the draft decision of the conference, Armenia was deprived of the three of six vilayats of what had been defined as “Turkish Armenia” before the World War. Nevertheless, with cautious optimism the republic could count on most of the vilayats of Erzerum and Bitlis as well as some two-thirds of Van vilayat her westen border running to the west of Bayburt, Mamakhatun and Mush and skirting Lake Van to the Persian frontier. Armenia was also allowed to have access to the Black sea by getting parts of the territory of Batum that was supposed to be evacuated by the British (the so-called Chorokh-Imerkhevi corridor) and by getting “nominal sovereignty” over Lazistan east of Trebizond where a special autonomous state was to be created (see Fig. 3-3). The prospective incorporation of Chorokh-Imerkhevi corridor and Lazistan into Armenia caused protests on behalf of Georgian delegation and in Georgia proper where the whole territory of Batum was considered unequivocally Georgian province of Achara (Ajaria) and Lazistan was referred to as historically Georgian province of Chaneti. As a result, Georgian troops were sent in late March of 1920 across the administrative border between the district of Ardahan and the territory of Batum to occupy eastern half of the territory up to Khulo-Ardanuch line. Meanwhile the Allied Comission dismissed Georgian claims to Lazistan asserting that despite some Georgian origins of the Laz people they never express any willingness to be incorporated into Georgian state. The San-Remo Conference that held form 19 to 26 of April, 1920, signaled the divestiture of the Allied leadership away from most of their obligations in regards with Armenia including the refusal to provide and use a military force necessary to guarantee Armenia’s territorial gains. The future borders between Armenia and Turkey were not clearly defined and the final decisions in that field were delegated to the League of Nations and to the US President Woodrow Wilson who was not even present at the conference. At the same time even the general idea of awarding Armenia with some parts of the four eastern vilayats (Erzurum, Trebizond, Bitlis and Van) caused protest outrage in Turkey not only among the Nationalists but also among moderate followers of Sultan’s government in Constantinople. Another excuse for leaving Armenia to herself and at the same time – a new destructive blow to the reputation of Armenia and this time also Georgia, was the sister republic’s strife at the San Remo Conference over the Chorokh-Imerkhevi corridor in the territory of Batum and over the projected ex-territorial railway that was to connect the port of Batum with Armenia via Georgian territory. 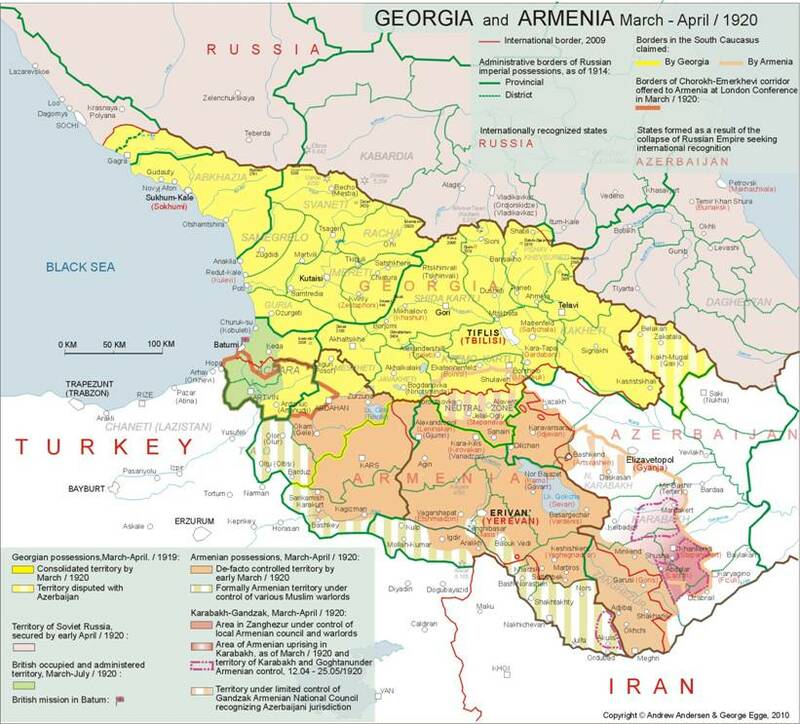 The disputed area was finally annexed by Georgia in July, 1920, but that conflict significantly undermined the future Western support of both Armenian and Georgian cases. One should add to the above that at both London and San-Remo conferences the issues of the border between Armenia and Azerbaijan including the status of Karabakh “temporarily” assigned to Azerbaijan were not addressed at all. Instead, after a series of informal consultations the Allied chiefs of state agreed on April 25, 1920 to resolve the above issues “at the same time as those between Armenia and Turkey”. Relative peace and stability in Karabakh achieved in August 1919, did not last for too long. Local Armenian population complained of violations of the August 22 Agreement including unauthorized military buildup in connection with the abortive Azerbaijani invasion of Zanghezur in November 1919. In late January 1920, sporadic inter-ethnic clashes resumed in Karabakh, and a month later, additional Azerbaijani forces under the command of governor Sultanov entered the region accompanied by some Turkish troops of General Halil-Pasha. On February 18, 1920, Governor-General Sultanov demanded from the Armenian National Council to recognize unconditional sovereignty of Azerbaijan over Mountainous Karabakh and requested a new Karabakh Assembly to adopt a corresponding resolution. The Eighth Assembly of Karabakh Armenians that started its work on February 28, 1920, happened to turn into quite an unusual event as it convened in two different places simultaneously due to the total absence of consensus between the delegates. The smaller amount of delegates representing mostly the city of Shusha and the historical district of Dizaq came together in Shushi in accordance with Sultanov’s plan, while the majority of the delegates (mostly from Varanda, Khachen, Jraberd and Gulistan) proceeded to the village of Shosh a few miles away from Shusha. The delegates in Shusha unable to act as a representative Karabakh Assembly declared their meeting to be a “consultative forum” adopting a resolution that acknowledged close economic bond between Karabakh and Azerbaijan but refrained from any declarations of formal unification with Azerbaijani republic. At the same time, the more radical majority in Shosh declared themselves the Eighth Assembly of Mountainous Karabakh and in their resolution of March 4, 1920, rejected any form of union with Baku. The Shosh resolution signaled the escalation of tension in Mountainous Karabakh. Less than a week after its adoption, additional units of the Azerbaijani Army prepared to enter the region while in the villages of Varanda, Dizaq, Khachen, Jraberd and Gyulistan Armenian self-defense units were preparing for an armed uprising encouraged by the envoys from Armenia. The Armenian uprising in Karabakh that started on March 23, 1920, was rather a failure due to its poor organization and even poorer coordination with Erevan and Zanghezur. Initial success that took place in Askeran where the rebels sealed the Askeran pass making it impossible for Azerbaijani reinforcements to advance to Shusha and in Dizaq where the stable access to Zanghezur was secured came to naught after the fiasco of the rebels in the cities of Shusha and Khankendy. At the same time, no expected relief forces came from Zanghezur due to the physical absence of General Dro (the commander of regular Armenian expeditionary forces that had been prepared to advance into Karabakh) and because the fighters of the Zanghezur warlord Gareghin Njdeh got stuck in their abortive attempt to re-conquer Goghtan (March 21-25, 1920) and later (March 25-30) in the repel of Azerbaijani invasion from Jabrail. Simultaneously, armed clashes involving regular units of Armenian and Azerbaijani armies also resumed in Kazakh and Nakhichevan counties thus allowing some researchers to define the Karabakh uprising as a full-scale Armeno-Azerbaijani war. It was not until April 13, 1920 when regular Armenian troops under General Dro (Drastamat Kanayan) finally entered Karabakh through Zanghezur and put Dizaq and rural Varanda under stable Armenian control (see Map 6). In the Armenian-dominated parts of Karabakh the Directorate was formed that became de-facto government of the region. On April 22 the Ninth Assembly of Mountainous Karabakh was summoned in Taghavard to reaffirm the union of Mountainous Karabakh with Armenia and authorize Dro to take “whatever action necessary to liberate the district”. Meanwhile, keeping most of its armed forces in the areas disputed with Armenia, the Azerbaijan Democratic Republic was left defenseless against the Red army that concentrated on her northern frontier. On April 27, 1920, Soviet Russian 11th Army invaded Azerbaijan. Less than 24 hours the First Azerbaijani Republic collapsed as a result of a bloodless coup in Baku, and on April 29 Soviet occupants and local communists proclaimed Azerbaijani Soviet Republic thus signalling the beginning of the Soviet era in the South Caucasus. The atmosphere of political vacuum that lasted another two weeks till the moment when the first units of the 11th Army stated their advance into Mountainous Karabakh, was quite favorable for Dro to take over Shusha, Khankendy and Askeran and secure the unification of the region with the Armenian republic. However, Armenian commander did not issue the order to attack, and the last chance for complete liberation of the Mountainous Karabakh was lost. The war between Armenia and Azerbaijan in the spring of 1920 ended up with at least partial Armenian victory. 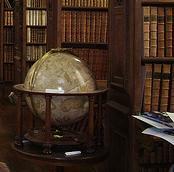 However, it completely destroyed the reputation of both nations in the West as well as the confidence of their ability to live in peace with each other and their neighbors. North-Western Karabakh/Parisos: “the Forgotten Armenia”? During the period preceding the Karabakh uprising the Armenian communities of North-Western Karabakh/Parisos subordinate to the Armenian National Council of Gandzak (see Map 6 and pp. 15-16 for the description of the area) were consistent in keeping their loyalty towards Azerbaijani republic. The rural Armenian communities scattered in the mountainous area of the county of Elizavetpol (Gyanja) from Chaykend to Chardakhly were mostly well-armed but tended to avoid any forms of inter- racial or inter-religious violence were armed for self-defense. In January 1920 they expelled and labeled as instigators the envoys from Armenia who came to the area in an attempt to organize an anti-Azerbaijani uprising, and as soon as the first armed clashes occurred in Karabakh, both the Council of Gandzak and all the villages of the county except those south of Chaykend (Northern Gyulistan) vocally distanced themselves from the Karabakh rebels. The loyalty to Azerbaijan, however, did not spare the Armenians of Gandzak/Parisos from paying for their brethren’s revolt in Karabakh. The rural Armenian enclaves were surrounded by Azerbaijani militia and gendarmerie and ordered to disarm. Most of the villages that complied were looted and burned while those that did not found themselves under siege. Some of the villages were forced to pay “protection taxes”. The spillover of the Karabakh violence into North-Western Karabakh/Parisos resulted in thousands of deaths and in exodus of many rural Armenian communities into the Armenian quarter of Elizavetpol (Gyanja/Gandzak) and the German colony of Elenendorf. Ibid., pp. 105 and 195. Robert Hewsen, Armenia: A Historical Atlas (Chicago, 2001), p.235. Ibid., pp. 34 and 55. Ibid., pp. 134-142 and 147-150.